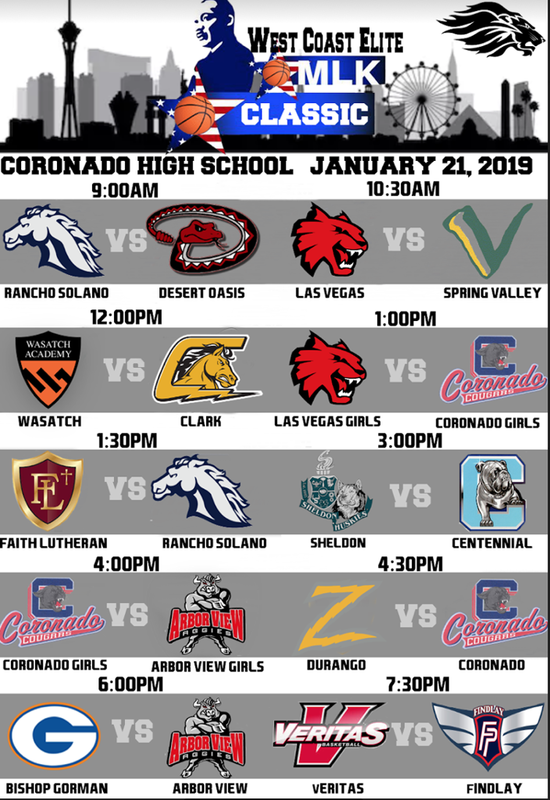 West Coast Elite Basketball`s MLK Classic is set to take place on January 21 at Coronado High School featuring a loaded field of teams. West Coast Elite Basketball is the leader in high school tournaments on the West Coast. For more information please visit westcoastelitebasketball.com.